In the heart of the golden triangle of the Luberon, close to a village with shops, 40 minutes from the A7, 50 minutes from Avignon TGV station and just 1 hour from Marseille-Provence International airport, a beautiful Domain of about 18 ha of land including 15 ha of AOC vines with an entirely restored stone Bastide offering a living surface of approximately 1200 sqm with 20×8 swimming pool and orangery. 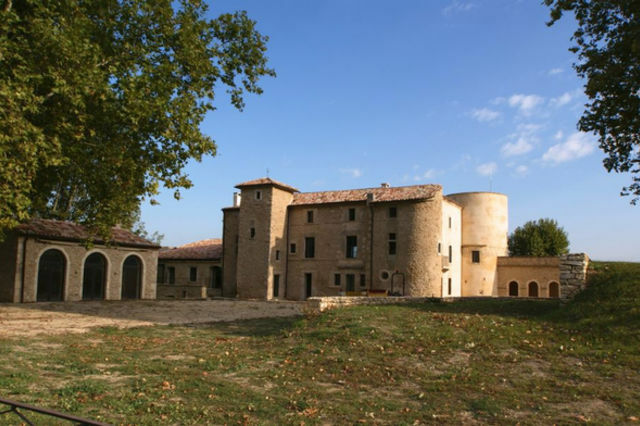 Degustation/tasting cellar, caretaker’s apartment and caretakers house with 8x4m pool, guest apartments, chapel, garages, pigeonnier, XIXth century naturally fed pond, fountains, century old trees and much more…. Unique thanks to its size, the quality of the renovation, its location, and its potential (family home, vineyard, B&B activity,…). This bastide needs work in the garden; the plans of a famous landscaping designer are available. Contact us for further details.